Ever feel like things have become a bit cramped? Could you do with a bit of extra room for a bigger kitchen, a play room or even an office? Over the years we all accumulate belongings -and even people! And our once-perfect home has become a bit of a squeeze! There are many reasons why people decide to extend their property with a home extension (see more here). Not only does it help to create that much needed extra space, but it can also add value to your home. Extending your property means you can remodel your house to better reflect your lifestyle and suit your needs. House extensions are not only practical, they are inspirational – with simple changes bringing about astonishing results. You can collaborate your ideas with your architect or designers meaning you are in control of the design process from start to finish. One of the main reasons home owners decide to extend is to add value to their property. In today’s property market – many cannot afford to move house or shy away from the stress of both selling and buying a new house simultaneously. If you are happy with your location and just need a bit of extra space – extending your house is the perfect answer. It also means that when you do come to selling your property, you will make back your investment and then some. A house extension certainly has it’s advantages over deciding to move house as it requires far less upheaval. But where do you begin? After all, a home extension is a major project and requires plenty of careful consideration before you even pick up your tools. If you’re thinking of extending your home but don’t know where to start, here are a few helpful tips to ensure you are well prepared for your new project! BE AREA AWARE Before you plan that extravagant extension or costly conversion, it’s crucial to talk to a local estate agent to find out what renovations are popular in your area. Every street has a ceiling value so don’t over develop if you want to see a good return on your investment. Getting planning permission can be tricky and requires a lot of local knowledge to increase your chances of being able to start building. It’s something we have plenty of experience with, so if you’d like to find out how we can help you navigate around all the pitfalls, please do contact us on 1300 724 118. We are more than happy to discuss your home extension project in more detail. I’m sure we can help. With over 20 years of experience, we’ve managed to gather a lot of experience in this field. No matter how much we love the sunshine, we all need a little shade sometimes! If you love spending time in the garden relaxing or reading a book, then a pergola can be a cost effective way of making your garden look more stylish whilst providing that much needed protection from the sun. If you’re thinking a pergola may be for you, you will need to consider a number of things including which roofing option is most appropriate. For example, you need to think about what you will use the pergola for. What types of weather will it have to face? Do you have a budget it mind? And are you looking to build it yourself or hire a professional? 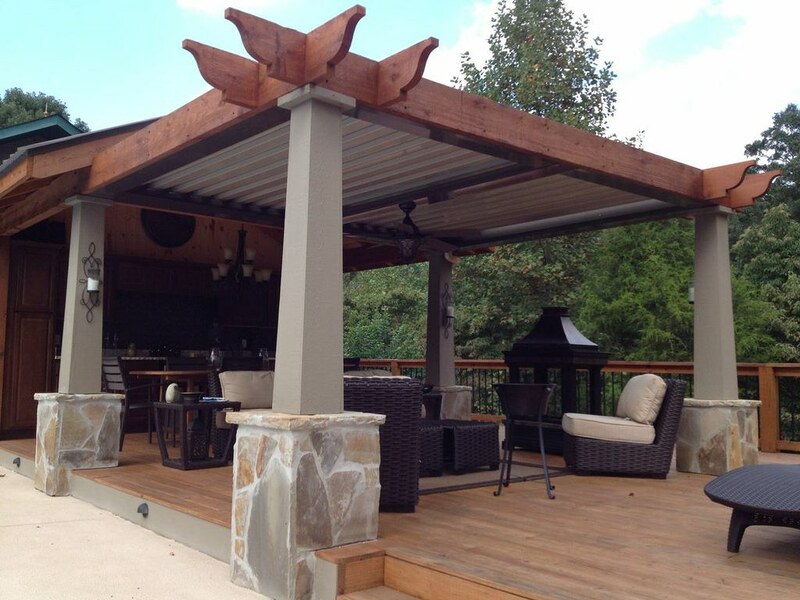 All of these things will influence the overall design of your pergola. Contact us today by calling 1300 724 118 to find out how we can assist you in developing a custom-designed pergola for your garden and enable you to spend more time relaxing outdoors! As one of the leading custom home builders in Melbourne, there are many factors that come into play when approaching a new extension for your property. But we realise that one of the most important aspects our customers consider, is the overall look and feel of the extension. Factors such as size, shape, colour are all important considerations. Home extensions are always interesting to see, especially brilliant projects that manage to create gorgeous new spaces and experiences for an ageing house. Recognising this fact, independent forum New London Architecture, in collaboration with furniture company Heal’s, design publication Dezeen and the Royal Institute of British Architects, are celebrating the best new extensions in London in the sixth annual “Don’t Move, Improve!” competition. A shortlist of 33 finalists was just announced today, and with it comes a trove of ideas for future renovations. Take a look at 10 standout projects. The most typical approach to increasing the size of your property, is to extend out the back of the property. We specialise in single storey extensions, which means that if you’re looking to extend your living space area, then we can certainly help. Building an extension at the rear can help to improve the value of your house as well provide a wonderful space to open up your property to your outdoor space. This wonderful rear addition has beautifully combined tradition and heritage with modern amenities and conveniences. This stunning extension blends the existing structure with a new add-on seamlessly. Inclusive in this design is a new living area for the family, a dining space, contemporary kitchen, and landscaped outdoor patio. If you’d like any further help or advice, please contact us. You can also submit a request for a no obligation, quotation. Alternatively, please call us on 1300 724 118.